by Burtis, Carl A., Ashwood, Edward R., Bruns, David E.
Burtis, Carl A., Ashwood, Edward R., Bruns, David E.
This text uses a laboratory perspective to provide the chemistry fundamentals needed to work in a real-world, clinical lab. 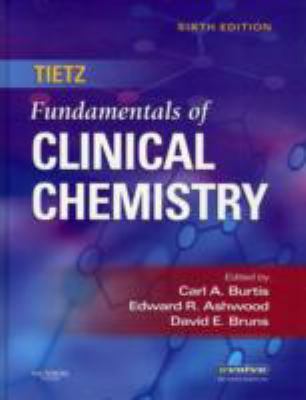 Accurate chemical structures are included to explain the key chemical features of relevant molecules.Burtis, Carl A. is the author of 'Tietz Fundamentals of Clinical Chemistry', published 2007 under ISBN 9780721638652 and ISBN 0721638651. Loading marketplace prices 11 copies from $17.22 How does the rental process work?